(OJAI CA) — Ojai Music Festival Artistic Director Thomas W. Morris announced updated Festival Music Director appointments today. 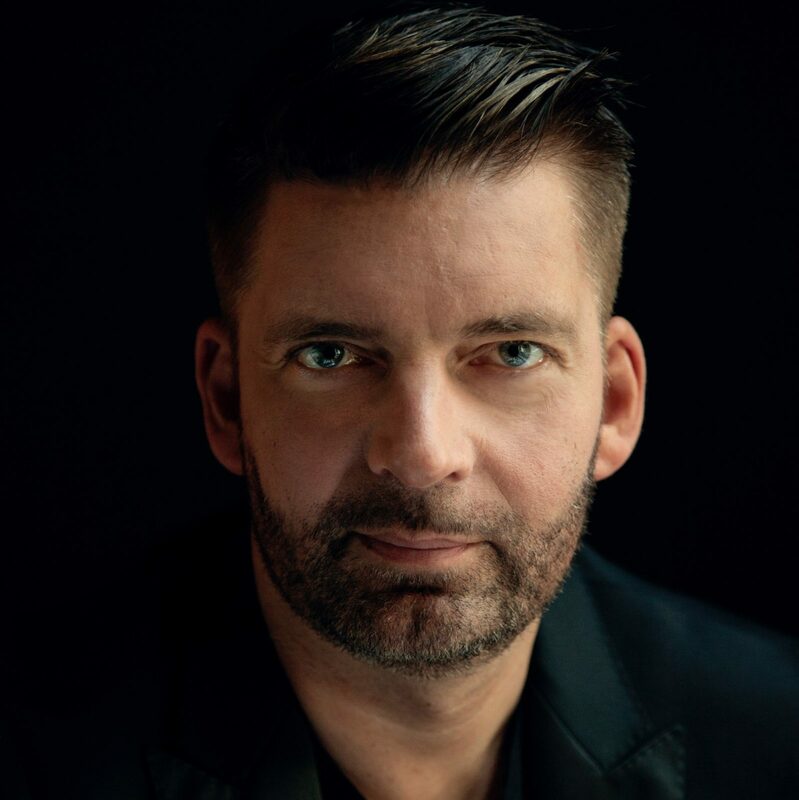 Composer/conductor Matthias Pintscher will take the helm as 2020 Music Director for the 74th Festival (June 11 – 14, 2020). Mr. Pintscher is one of the most prominent composers of our time and has an extraordinarily active conducting career. He serves currently as Music Director of the Ensemble Intercontemporain in Paris and as Principal Conductor of the Lucerne Festival Academy. He is active as a teacher both at the Lucerne Festival Academy and at the Juilliard School in New York. His teachers and mentors include two Ojai alumni, Peter Eötvös and Pierre Boulez. As Music Director of the Ojai Music Festival, Mr. Pintscher will follow violinist Patricia Kopatchinskaja (2018) and soprano/conductor Barbara Hannigan (2019), and precedes pianist Mitsuko Uchida (2021). Initial details for Mr. Pintscher’s 2020 Festival will be announced in June 2019. For complete biographical information on upcoming Ojai Music Festival Music Directors, visit OjaiFestival.org. 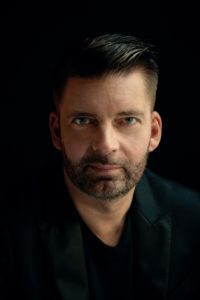 Matthias Pintscher is the Music Director of the Ensemble Intercontemporain and became Principal Conductor of the Lucerne Festival Academy Orchestra at the start of the 16/17 season. He is currently in his eighth year as Artist-in-Association with the BBC Scottish Symphony Orchestra. In the 17/18 season, Mr. Pintscher makes several significant debuts including with the Royal Concertgebouw Orchestra, London Symphony Orchestra, Berlin Radio Symphony, Finnish Radio Symphony, and the Gulbenkian Orchestra in Lisbon. Pintscher and the Ensemble Intercontemporain bring an ambitious presentation of Pierre Boulez’s Répons to the Park Avenue Armory in New York and perform a number of concerts on tour in London (Royal Festival Hall), Vienna (Konzerthaus), and Cologne (Philharmonie). In addition, they will be joined by alumni of the Lucerne Festival in a special multi-media Messiaen project which will be performed in four cities. Return guest engagements this season include the Los Angeles Philharmonic in both a subscription week and at the Hollywood Bowl, Atlanta Symphony Orchestra, Utah Symphony, Saint Paul Chamber Orchestra (where he premieres Salvatore Sciarrino’s new piano concerto with Jonathan Biss), Orchestre de la Suisse Romande, Frankfurt Radio Symphony, and the Mahler Chamber Orchestra conducting Beethoven’s Ninth Symphony. An enthusiastic supporter of and mentor to students and young musicians, Pintscher will also work with the Karajan Academy of the Berlin Philharmonic, culminating in a concert at the Philharmonie. In the 16/17 season, Pintscher was featured as the inaugural composer-in-residence and artist-in-focus at Hamburg’s new Elbphilharmonie concert hall which opened in January 2017. He took the Ensemble Intercontemporain on tour to Asia and celebrated the orchestra’s 40th anniversary. Other highlights included guest appearances with The Cleveland Orchestra, Dallas Symphony, National Arts Centre Orchestra (Ottawa), Kammerphilharmonie Bremen, and Bayerische Rundfunk, among others. Last season also saw the premiere of Pintscher’s new compositions un despertar, his second cello concerto, performed by Alisa Weilerstein and the Boston Symphony Orchestra under the direction of François-Xavier Roth; and Shirim for baritone and orchestra, with Danish singer Bo Skovhus and the NDR Elbphilharmonie Orchestra led by Christophe Eschenbach. Matthias Pintscher began his musical training in conducting, studying with Peter Eötvös in his early twenties, during which time composing soon took a more prominent role in his life. He began to divide his time equally between conducting and composing, rapidly gaining critical acclaim in both areas of activity. As composer, Mr. Pintscher’s music is championed by some of today’s finest performing artists, orchestras, and conductors. His works have been performed by such orchestras as the Chicago Symphony, Cleveland Orchestra, New York Philharmonic, Philadelphia Orchestra, Berlin Philharmonic, London Symphony Orchestra, and the Orchestre de Paris. Bärenreiter is his exclusive publisher, and recordings of his compositions can be found on Kairos, EMI, Teldec, Wergo, and Winter & Winter. Mr. Pintscher has been on the composition faculty of the Juilliard School since 2014. The Ojai Music Festival is deeply grateful for the outpouring of concern and support from our worldwide community after the Thomas Fire raged in the Ojai, Ventura, and Santa Barbara areas. As one of California’s largest wildfires on record, the fire has had a devastating impact on hundreds of thousands of acres and on all those in its path. Thanks to the heroic efforts by firefighters, the overall natural beauty including the town of Ojai, Libbey Bowl, other Festival venues, and area hotels and restaurants were spared, allowing the Festival to proceed as planned. Over time, the Topa Topa Mountains surrounding the Ojai Valley will give rise to new life, and the Festival looks to honor this renewal of hope during the upcoming 2018 Festival with Music Director Patricia Kopatchinskaja. The 72nd Ojai Music Festival, June 7-10, 2018, will present the dynamic violinist Patricia Kopatchinskaja as music director. Praised for her “savage energy” (The Washington Post) and “mesmerizing artistry” (The Strad), Ms. Kopatchinskaja’s unbounded musical creativity will be in full force, showcasing her as a soloist, collaborator, and new music advocate. Joining her will be her close artistic collaborators, all of whom are making their Festival debuts: the Mahler Chamber Orchestra in its first extended United States residency, JACK Quartet, composer/pianist Michael Hersch, pianist Markus Hinterhäuser, pianist/harpsichordist Anthony Romaniuk, pianist Amy Yang, composer/sound designer Jorge Sanchez-Chiong, and Ms. Kopatchinskaja’s parents, Viktor and Emilia Kopatchinski. For more information on programs and series passes, visit OjaiFestival.org. Violinist Patricia Kopatchinskaja’s versatility shows itself in her diverse repertoire, ranging from baroque and classical often played on gut strings, to new commissions and re-interpretations of modern masterworks. Kopatchinskaja’s 2017/18 season commences with the world premiere of her new project Dies Irae at the Lucerne Festival where she was ‘artiste étoile’. Dies Irae is her second staged program following the success of Bye Bye Beethoven with Mahler Chamber Orchestra in 2016, and uses the theme from the Latin Requiem Mass as a starting point for her new concept featuring music from Gregorian Chant and Early Baroque to Giacinto Scelsi and Galina Ustwolskaja. The North American premiere will take place at the Ojai Festival in June 2018. Thomas W. Morris was appointed Artistic Director of the Ojai Music Festival starting with the 2004 Festival. As Artistic Director, he is responsible for artistic planning and each year appoints a music director with whom shapes the Festival’s programming. During Mr. Morris’ tenure, audiences have increased, the scope and density of the Festival has expanded, the collaborative partnership Ojai at Berkeley with Cal Performances at UC Berkeley has started, a new partnership with England’s Aldeburgh Festival will be initiated this year, and a comprehensive program of video streaming of all concerts has been instituted. Mr. Morris is recognized as one of the most innovative leaders in the orchestra industry and served as the long-time chief executive of both The Cleveland Orchestra and the Boston Symphony Orchestra. He is currently active nationally and internationally as a consultant, lecturer, teacher, and writer. Mr. Morris was a founding director of Spring for Music and served as the project’s artistic director. He is currently vice chair of the Board of Directors of the Interlochen Center for the Arts, and he is also an accomplished percussionist. In November, Mr. Morris announced his decision to retire as the Festival’s Artistic Director following the 2019 Festival with Music Director Barbara Hannigan, after shaping Ojai’s artistic direction for sixteen years. From its founding in 1947, the Ojai Music Festival has become a place for groundbreaking musical experiences, bringing together innovative artists and curious audiences in an intimate, idyllic setting 75 miles northwest of Los Angeles. The Festival presents broad-ranging programs in unusual ways with an eclectic mix of new and rarely performed music, as well as refreshing juxtapositions of musical styles. The four-day festival is an immersive experience with concerts, free community events, symposia, and gatherings. Considered a highlight of the international music summer season, Ojai has remained a leader in the classical music landscape for seven decades. Through its unique structure of the Artistic Director appointing an annual Music Director, Ojai has chosen a “who’s who” for the post, including Aaron Copland, Igor Stravinsky, Olivier Messiaen, Michael Tilson Thomas, Kent Nagano, Pierre Boulez, John Adams, Esa-Pekka Salonen, Robert Spano, Pierre-Laurent Aimard, David Robertson, Eighth Blackbird, George Benjamin, Dawn Upshaw, Leif Ove Andsnes, Mark Morris, Jeremy Denk, Steven Schick, Peter Sellars, and Vijay Iyer. Following Patricia Kopatchinskaja in 2018, Ojai will welcome Music Director Barbara Hannigan (2019). 2018 Festival series passes are available and may be purchased online at OjaiFestival.org or by calling (805) 646-2053. 2018 Ojai Music Festival series passes range from $165 to $925 for reserved seating, and lawn series passes start at $75. Single concert tickets will be available in spring 2018. Directions to Ojai and Libbey Bowl, as well as information about lodging, concierge services for visitors, and other Ojai activities, are available on the Festival website. Follow Festival updates at OjaiFestival.org, Facebook (Facebook.com/ojaifestival), and Twitter (@ojaifestivals).